I adore sharing these Cress Tuesday teasers every Tuesday. I love finding new teasers to share. It's all kinds of fun. I shall be sharing these until November, when Winter comes out, most likely :) As you know, I adore Marissa Meyer. She is all kinds of amazing. She's so kind and sweet. And she writes such perfect books. I have loved all her books and short stories so far. I'm dying to read Winter. <3 See the very gorgeous cover reveal for it here. I'm also dying to read her upcoming book, Heartless, which will be out next February. Oh. I cannot wait. I haven't been brave enough to re-read Cinder, Scarlet & Cress just yet, but I shall be doing so soon. As I love these books oh so much. They are the bestest. I hope you have all read these books by now. And if not, you really should. 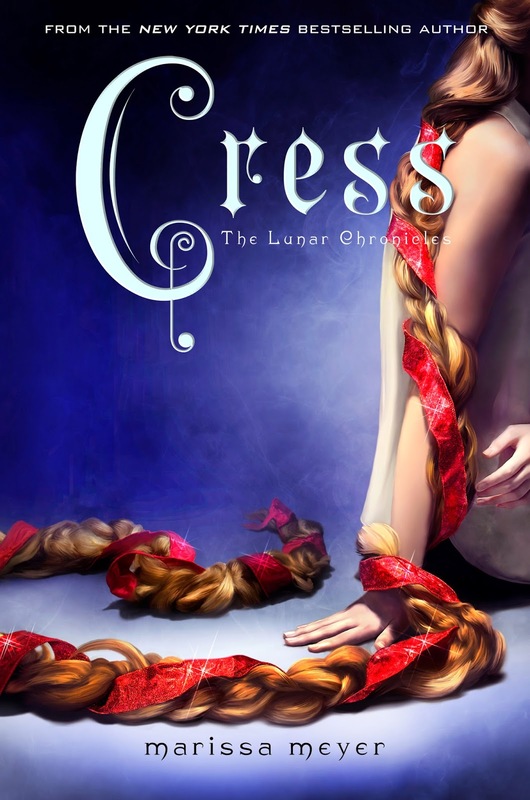 I hope you are all enjoying these small and awesome teasers from Cress :) See all the previous Cress Tuesdays here. <3 Have you read it yet? "Oooooooww," Thorne moaned, placing a cooling pack against his throbbing cheekbone. "Why did he have to hit so hard?" "You're lucky he didn't break your nose or knock out any teeth,"
said Jamal. Thorne could hear him shuffling around, followed by glasses clinking together. "That's true. I am rather attached to my nose." My review of Fairest. My review of Cress. My review of Scarlet. My review of Cinder. Cress Tuesdays. Cyborg Monday. News: Fairest. Scarlet Paperback. Cinder Blog Tour. My review of The Little Android. My review of Glitches. My review of The Queen's Army. Cinder. Scarlet. Cress. Winter. Fairest. Glitches. The Queen's Army. The Little Android. The Princess and the Guard. Carswell's Guide to Being Lucky. Winter Cover Reveal. Amazon. Marissa Meyer. Marissa's Website. Official Facebook. Official Website. The Book Depository. Poor Thorne! He's such an interesting character!! I love that you are still sharing all these teasers Carina!